The longer I live part time in Ash Fork, the more I appreciate and love the twn and the area. I used to just pass through town on the way to the cabin but after reading Marshall Trimble's book on the history of the town I wanted to explore it a bit more in depth. Mr. Trimble is the Arizona State historian and coincidently was raised in Ash Fork. 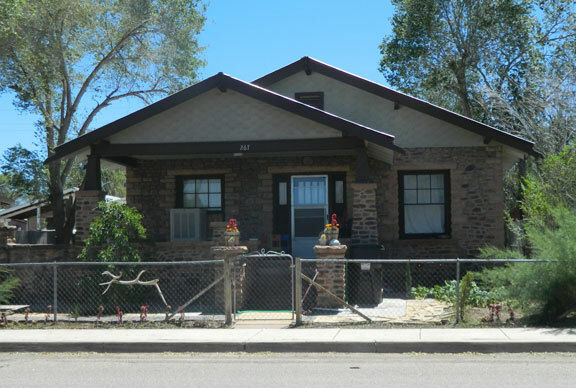 I have recently added a page for nearby Seligman which is about 22 miles west on "The Mother Road" - Historic US Route 66. When not visiting friends in Ash Fork, I often take the pretty drive out historic 66 to Seligman to pass a pleasant afternoon. I have met tourists from all over the globe there. 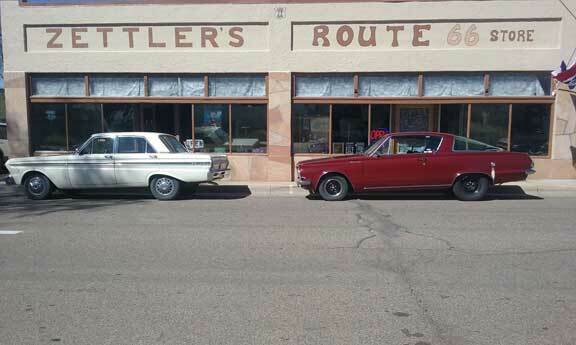 Route 66 tourists are now stopping in Ash Fork, especially at Zettler's Route 66 Store too! 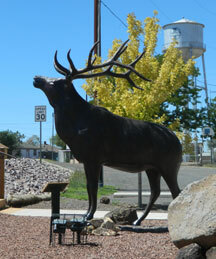 Elk are a popular icon for the town and for good reason. Above is a sculpture that is in front of the library with the old, and no longer used Santa Fe Railroad water tower. 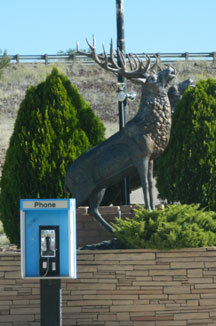 Below that is at Murphy's Trading Post with another I suspect unused relic - a pay phone! 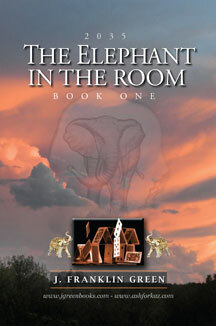 Above is one of two new books set in Ash Fork. 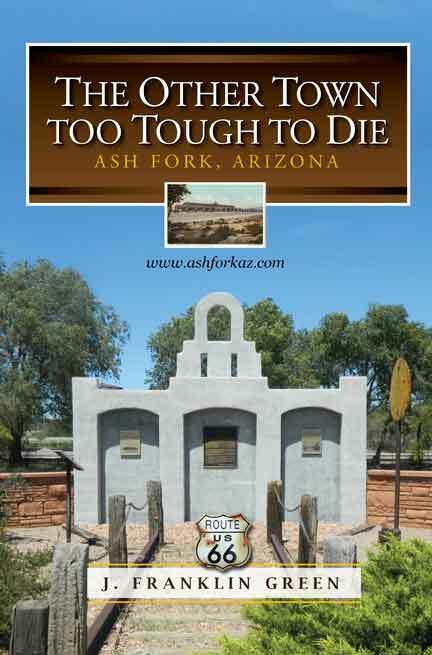 Ash Fork, Arizona, has been a thorough way for humans since early man roamed the North American continent. Throughout the region there is evidence of primitive civilizations. 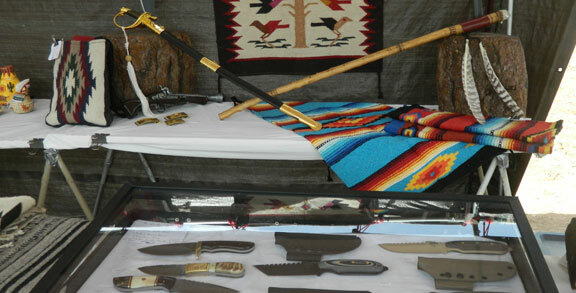 Pottery shards, arrowheads, and pictorial writings on rock have been found in abundance in the area around Ash Fork, AZ. Spanish conquistadors came close to this area as they searched for the “Golden City” in the late 1500’s. 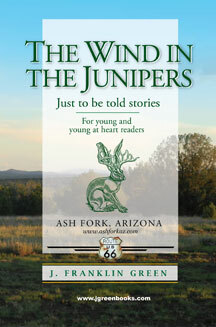 Fur trappers and traders passed through Ash Fork on their way from Santa Fe to Los Angeles. Around this same time, Captain Lorenzo Sitgreaves and Lt. Amiel W. Whipple, United States Army Corps of Topographical Engineers, began to survey the 35th Parallel for a proposed railroad. Because of its strategic location, this area would continue to attract people’s attention. 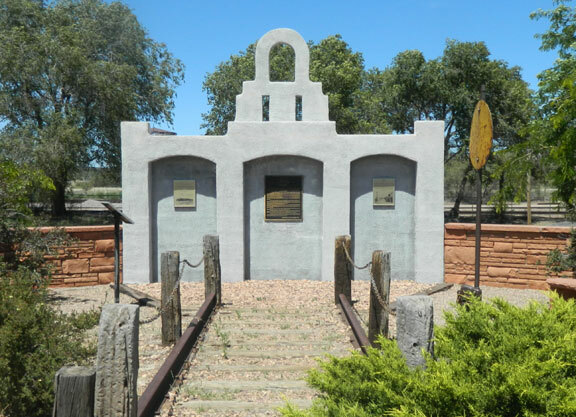 After the Mexican-American War in 1848, Congress sent a number of expeditions to the Southwest to explore the area. With the information provided by these expeditions, Congress commissioned the southwest’s first federally funded interstate road to be built through the heart of the new lands to California in 1857. Edward Fitzgerald Beale, a retired Navy Lieutenant, brought twenty-two camels (from the Middle East) loaded with supplies and tools for himself and his crew of 50 men. Although these animals were very effective as packing heavy loads across the dry, rocky landscape, they did not meet with positive acceptance from the muleskinners who saw the animals as “foul-smelling, evil tempered , and ugly.” These beasts trudged across northern Arizona as Beale and his crew cleared a 10-foot wide track and pushed the rocks to the side to allow wagons to travel on the track. 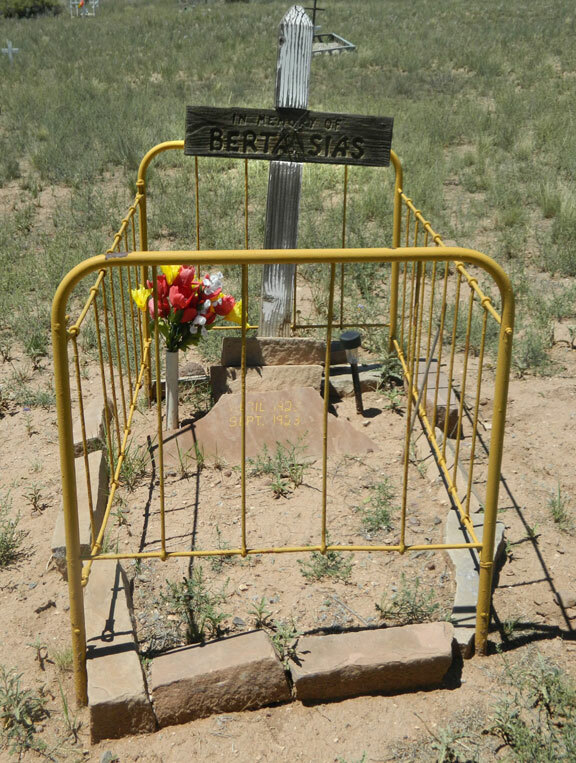 In the end, this road provided a serviceable route (1,240 miles) for immigrants and stockmen from Ft. Smith, Arkansas, to the Colorado River for $210,000 until the construction of the Atlantic and Pacific (Santa Fe) Railroad in 1883. It is interesting to note that the Santa Fe Railroad, Route 66, and Interstate 40 all, more or less, follow the Beale Road which affirms Beale’s ability as a “pathfinder” and the value of the route he pioneered. 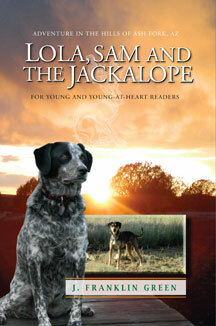 Visitors can retrace Beale’s steps north of Ash Fork near Russel’s Tank as they linger over a picnic lunch. Russel’s Tank was a popular stop for pioneers along the Beale Road because of its cool, clear water and plentiful wildlife. The Civil War had delayed the transcontinental railroad across northern Arizona for several years. 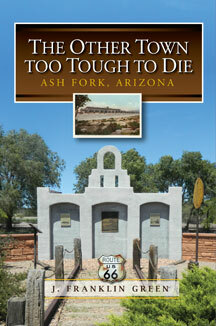 When construction began in 1881, towns began to sprout up along the Atlantic and Pacific (Santa Fe) line. In 1881, construction began on the transcontinental railroad across Northern Arizona. Building a railroad across this region of deep canyons, rugged deserts, and rocky plateaus was no easy task. 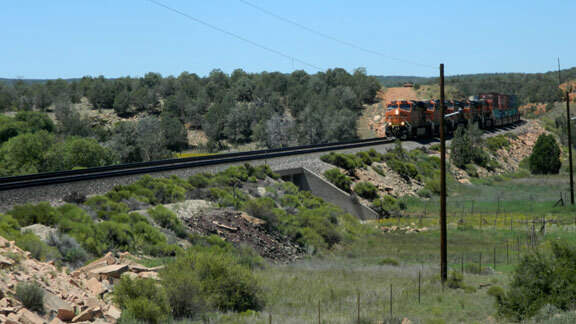 Marshall Trimble, Arizona State Historian, once wrote that the railroad went ahead and built the line anyway, with switchbacks and lazy loops and more kinks than a cheap lariat. 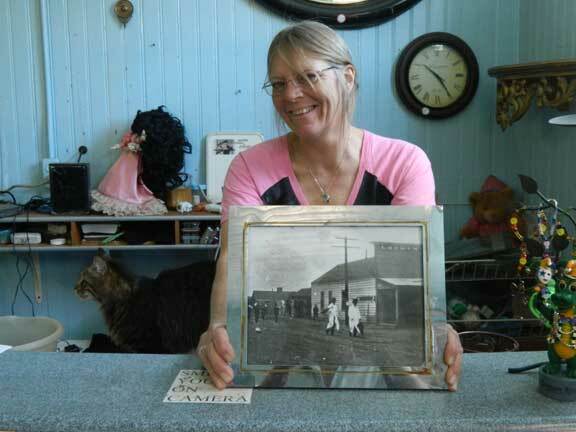 When the Santa Fe Railroad moved its main line north and away from the town in 1960, Ash Fork lost nearly half its population after railway business declined substantially, causing most families employed by the railway industry to leave the area. Another business spearheaded from the railroad industry was the stone industry. Flagstone was quarried for the railroad to build bridges and private industry began shipping stone for public buildings, churches and office buildings. Ash Fork, AZhas proclaimed itself "The Flagstone Capital of the World", due to the large number of stone quarries and stone yards in and around the town. 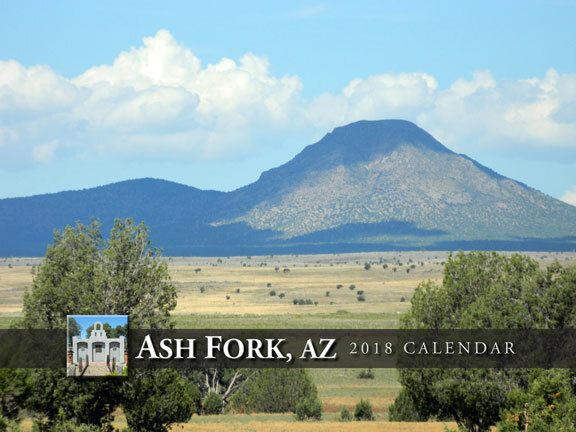 In 1882, Ash Fork, AZ was founded with the arrival of the Atlantic and Pacific Railroad. 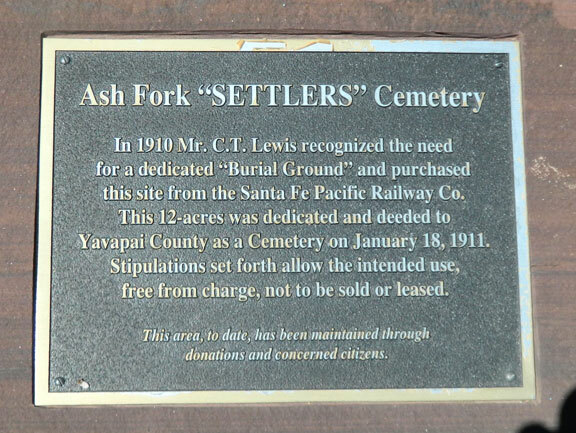 The original stage depot and town site was located near Ash Creek (named for the Ash Trees in the area) where three southerly flowing forks of Ash Creek came together. 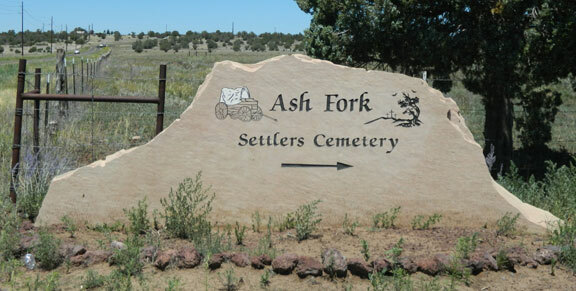 Soon the town was referred to as Ash Fork. In the beginning, most of these towns had little in the way of law and order. There were over 350 saloons along 200 miles of track. During Ash Fork’s chaotic time, the town organized a vigilance committee to get rid of malicious and contemptible people via hanging from the limb of an ash tree. 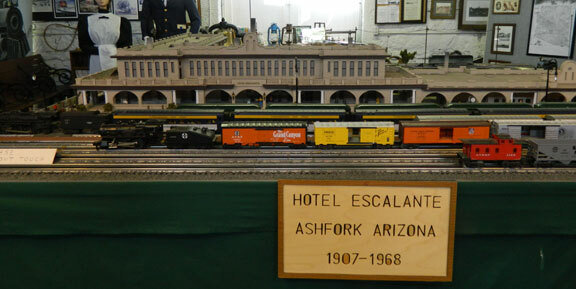 The railroad also brought the Fred Harvey restaurant, Escalante, to Ash Fork in 1907. 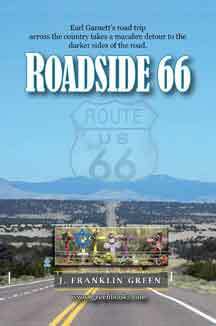 The longest original, uninterrupted stretch of Route 66 still in existence, approximately 92 miles long, can be found between Ash Fork, Arizona, and Kingman, Arizona, beginning just beyond Ash Fork at Crookton Road. This stretch of the route runs parallel to the Santa Fe roadbed. US Route 66 provided a slight boost to the town's economy in the 1950's, but construction of the divided highway through the town resulted in the destruction of many of the storefronts, sidewalks and residential streets, and forever altered the aesthetic qualities of the downtown area. 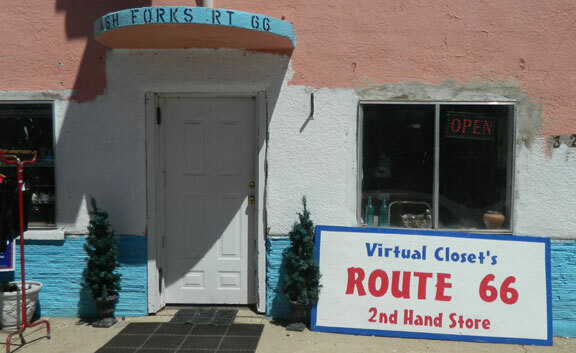 Part of what was once Route 66 still runs directly through Ash Fork, serving as a main thoroughfare now known as Park Avenue, along which the community's post office is located. A few historic buildings and some old railroad company houses can be seen along this road. Historical marker for the long gone Escalante Hotel and rail station. Known as the finest Harvey House Hotel west of Chicago. 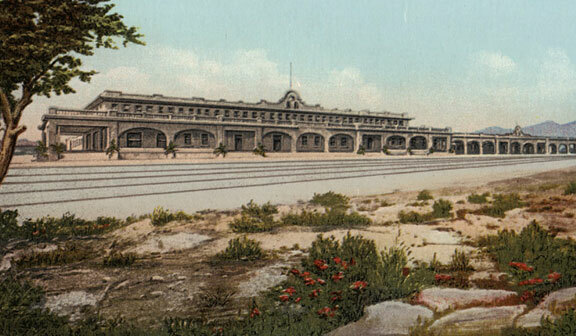 Harvey House Hotels followed the railroads west. Fred Harvey employed thousands of women from the east at a time when jobs for young women were hard to come by. Many came west for the work and to find a husband. A postcard rendition of the elegant Escalante Hotel I found on the internet. One of many neat little stone houses. One of several good eateries in town, I frequent this one often. 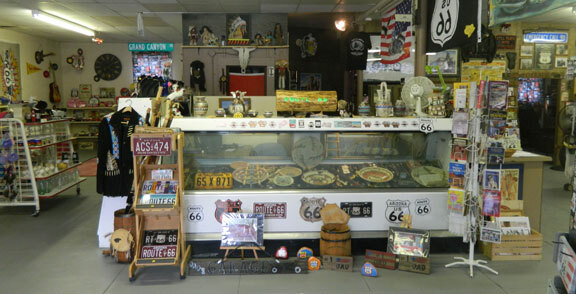 New for 2016 - at the site of the iconic Zettler's Market - This new establishment sells great route 66 memorabilia and a host of antiques. You never know who is gonna pass through town. 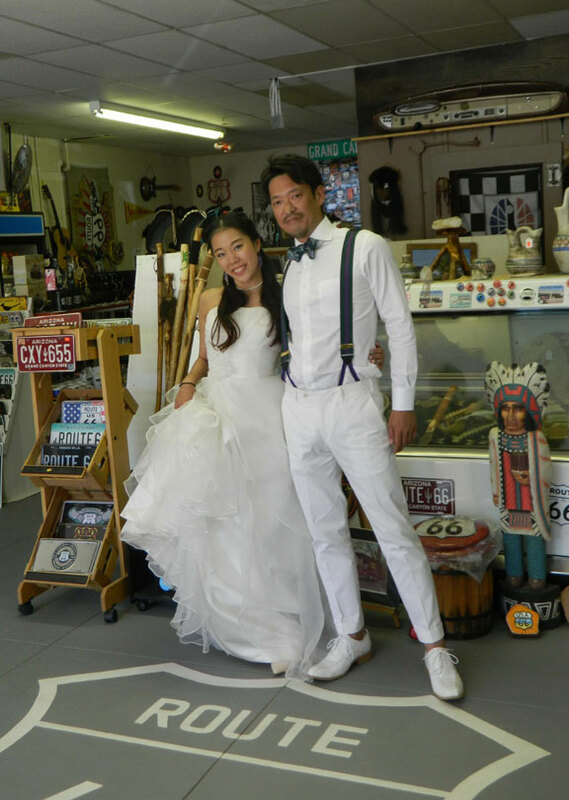 This couple from Tokyo was on their honeymoon and stopped at Zettlers in their wedding garb. 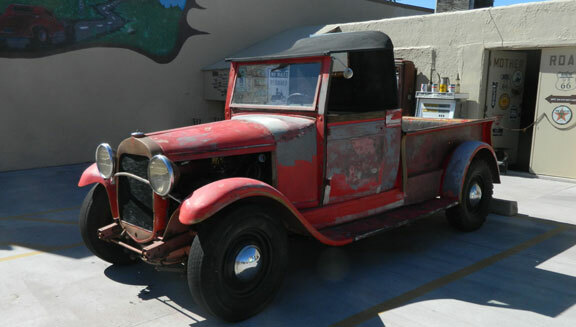 1928 Ford Truck Kirk is working on at Zettler's Route 66 store. They have a constant variety of vintage vehicles and motorcycles for sale or for drooling over! BELOW is as it is today. Sold in October 2016 and shipped to Germany! A group from Belgium - The author of this site and his wife are on the far left. We met the group in Seligman and directed them to Zettler's in Ash Fork. 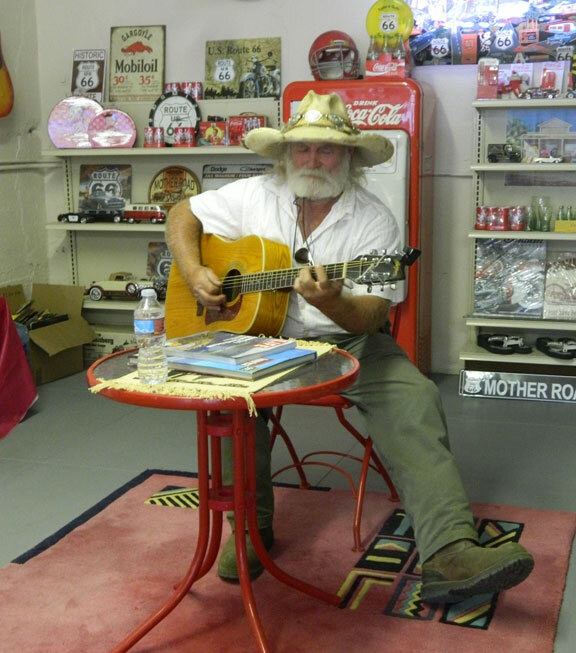 Catch their great videos on Facebook also: Zettlers Route 66 store. Kirk gets a little help washing his Ford Falcon from Kayden. 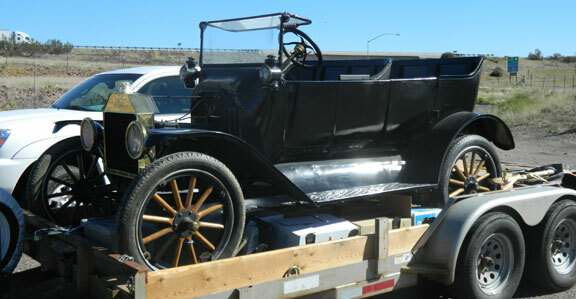 Vintage cars, trucks and motorcycles can always be found at or passing by Zettlers. Always a happy face to greet you. Kirk & Yvette Slack and Marty Slack Mittone. 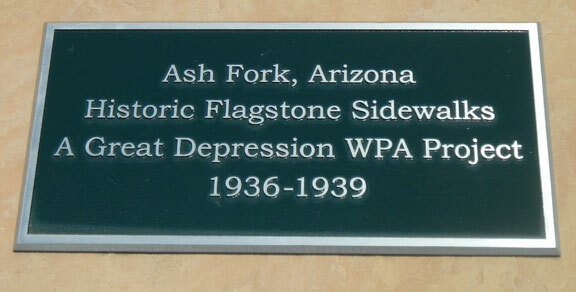 The Ash Fork, AZ Museum. I was not expecting such a marvellous display. Inside the museum. Well worth the time and trip. There are also maps and books for sale in the reception area. Below - A view west toward Seligman with Picacho Mountain in the distance. 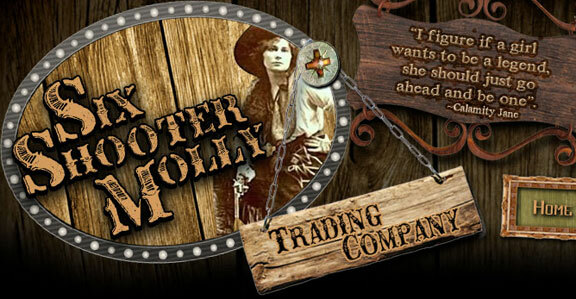 Murphy's - aka Six Shooter Molly Trading Post with food, beverages and the best damn pizza in northern Arizona! Plus souvenirs, cool stuff, necessities, gas station, propane, towing and service. Right off exit 144 of I-40. 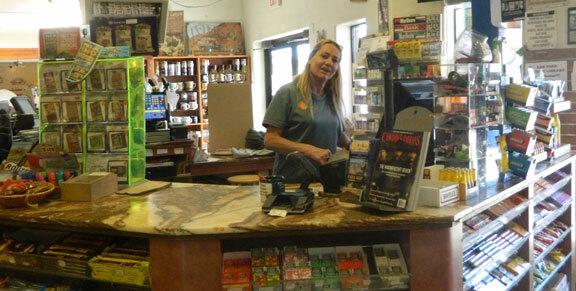 Always friendly service and local discounts on certain things like gas and ice..
Great shop for passing tourists. Something for everyone. 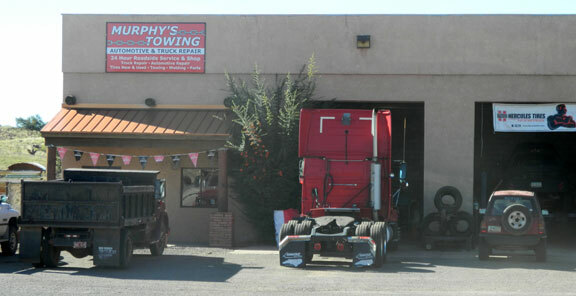 This old timer - a 1918 Ford truck was passing through and the owners stopped at Murphy's. 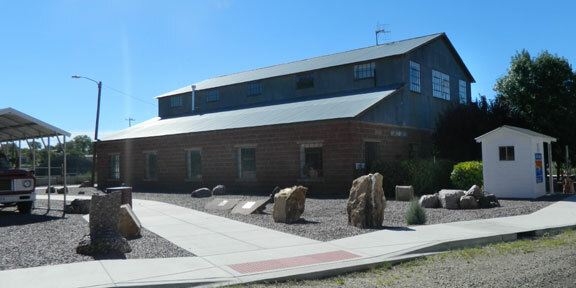 Vigil Plaza - across from the Ranch House cafe was the headquarters for a large construction company. 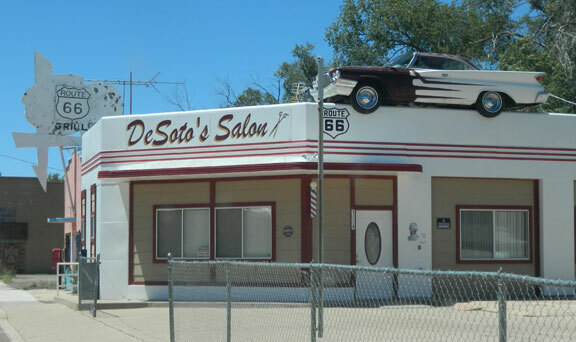 Rather unique architecture and a good reminder of Route 66 history and mystique. 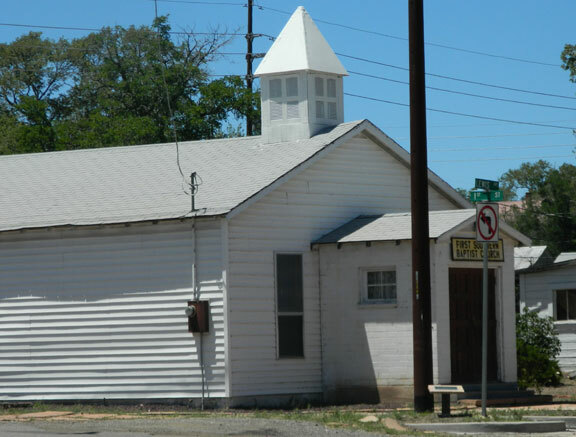 A very old church - First Southern Baptist. There are several other denominations also in town. 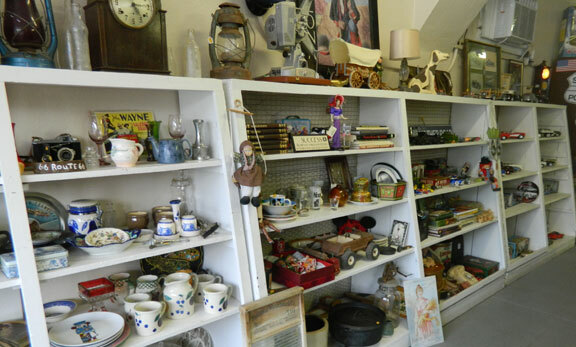 Gone but not forgotten: A charming second hand store with something for everyone. Most items are: two bucks! Unfortunately this store is now gone. 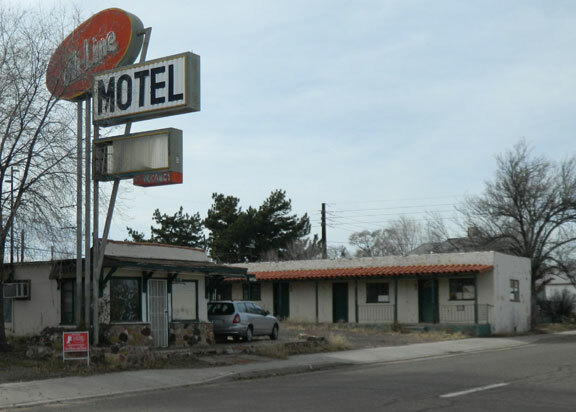 Once a Route 66 Landmark, the High-Line Motel has fallen on bad times. Above, the Ash Fork Public Library, may not be big, BUT it has everything a modern library does, including computers, w-fi and a great childrens room. 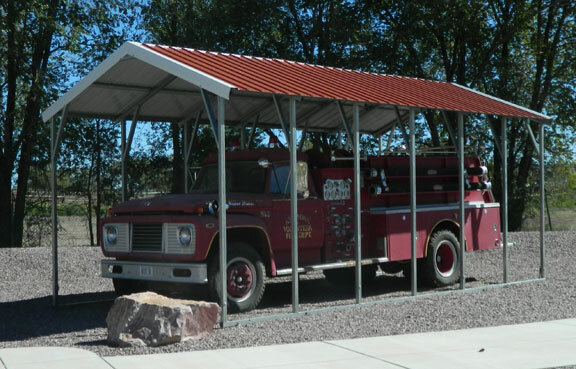 Ash Fork volunteer Fire Department. 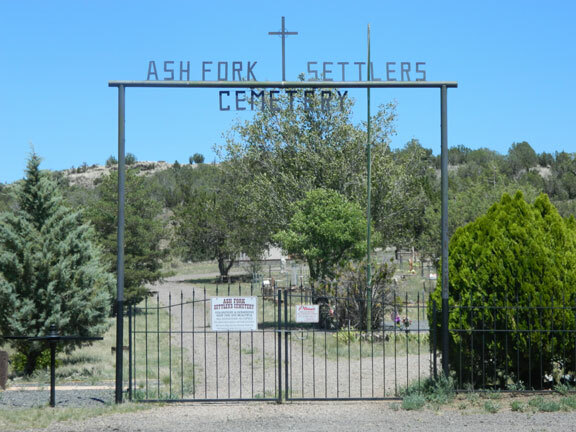 Ash Fork Settlers Cemetery. A fascinating look into history. It is about half a mile north of town on Double A Ranch Road. 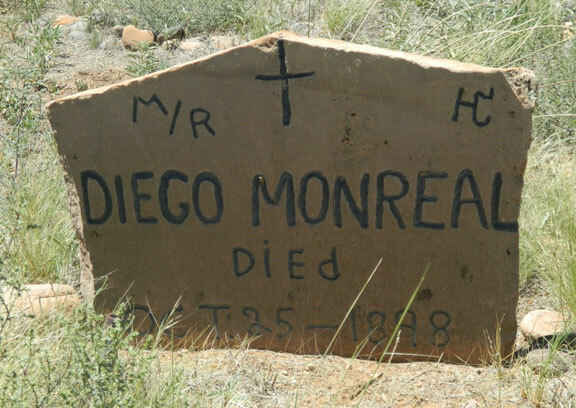 This was the oldest marker I found. Many are unmarked. The one next to this on the left simply says: "John Doe"
There are many graves marked like this for infants and children. 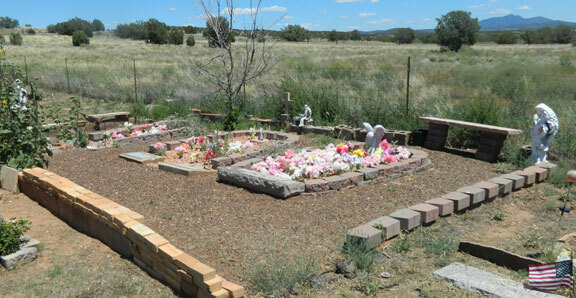 A beautiful and well kept family plot. 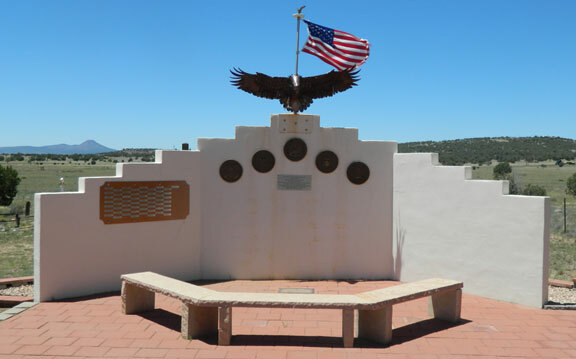 The plaque on the left commemorates veterans from Ash Fork from the Spanish American War to present day. The five circular ones represent all 5 branches of service. Below - The Virtual Closet has recently relocated west a couple of buildings or so and where you can find great deals on second hand merchandise. Since 1954 - The oldest station in town. Gas, service, propane and more. Ash Fork High Scool - note the artificial turf for football field. Baseball field has the same. In 2014 Ask Fork had the BEST performing school district in Arizona! Trains still rumble by today. This one north of town seen from Forest Route 42 in the Kaibab National Forest. 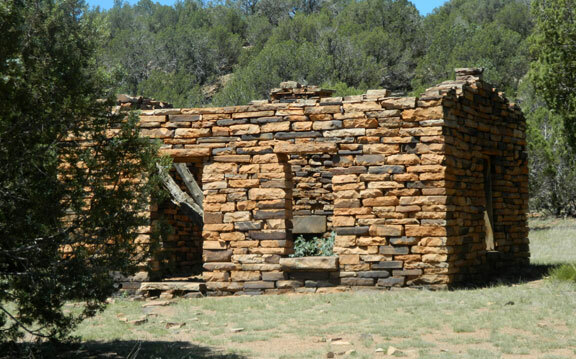 This ruined stone house is a well recognized landmark. Just north on Sevens Ranch Road in the Kaibab National Forest near the old Ash Fork Dam. I am told there was also a lake out this way but an earthquake in 1982 drained it and closed off the springs that fed it. 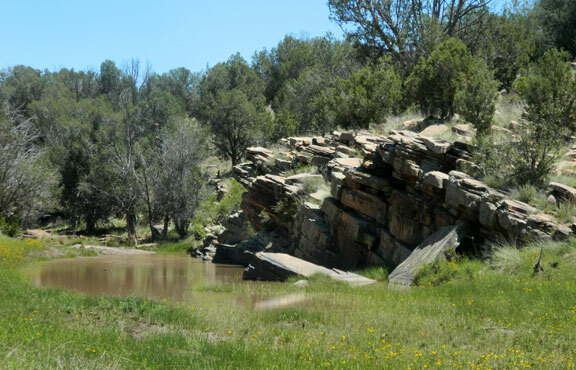 Above is Stone dam off of a deserted Route 66 stretch. Built in 1911. 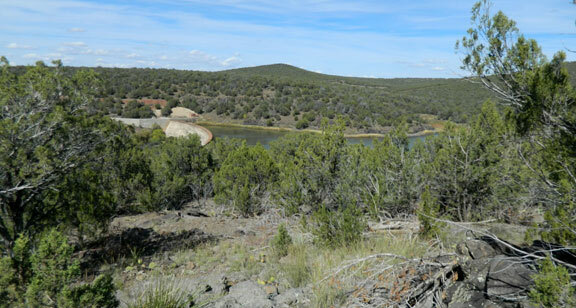 Originally to collect water for the Railroad, it is now a popular fishing and hiking area. Directly west down a trail about a half mile is Steel dam built in the late 1800's. 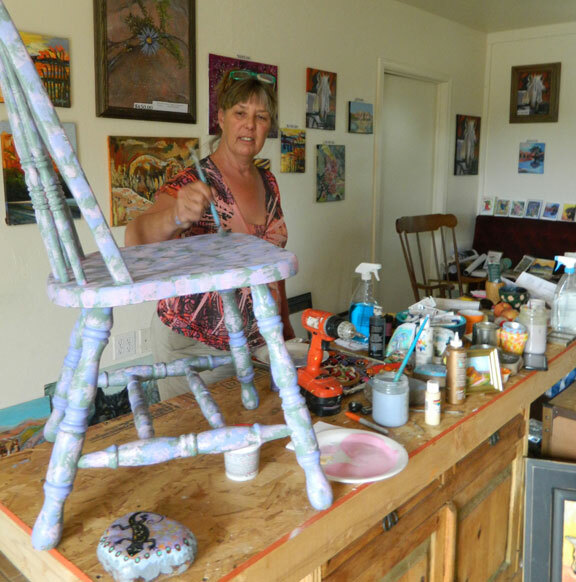 A local artist - Donna Hovett working on a project. Gary and Debbie sell great stuff at Roadside 66 - this may be their last season here. Hopefully not. 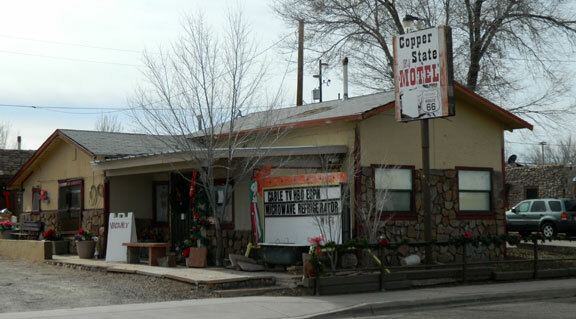 A long established Route 66 landmark, The Copper State motel is still in business for short and long-term guests. South of Ash Fork on AZ state route 89 near Hell Canyon. West on route 66 - see the Seligman page for more route 66.